Amintro is close to my heart because I’ve been surrounded by fabulous, strong women in my family who have shown me that growing older can be an adventure. I know it involves re-invention as circumstances change but to be honest, my Mom and sisters have proved to me that your second act can be the most riveting part of your story. My Mom, who was born in 1925, has lived a second life that I’m sure she never expected in her retirement years. Widowed at 68, she sold the home we grew up in, moved to a different city and has lived in senior’s apartments ever since. She’s had to meet new friends and get used to new surroundings and she has always been open to putting herself out there a little; whether it was travelling to Turkey with me when she was in her 70’s, joining the “Olympic” team for pool noodle javelin toss at her apartment, or learning how to create a Facebook account at 87. Her example has proved that if you say “yes” to even some unexpected opportunities, you can live a richer life, no matter your age. My sisters have also, through circumstance, found themselves starting over personally and professionally in middle-age. After retiring, one began her own successful business, travels on at least three cruises a year, and also helps run a charity in Africa. My other sister found a terrific second husband and an undiscovered talent as a poet in her second act. It seems the losses and changes that life inevitably brings as we get older, can also be a catalyst for opportunities that we would have never taken otherwise – if we just remain open to them. It’s not about having a better life than the one you lived before; it’s about making the most of both acts. It’s about saying “yes” to new things. It’s about continuing to find people and experiences that can make the journey meaningful. I hope that your journey with Amintro brings you a little unexpected adventure and more to add to your riveting story. [/vc_wp_text][vc_text_separator][/vc_column][/vc_row][vc_row][vc_column width=”1/2″][vc_column_text] [/vc_column_text][/vc_column][vc_column width=”1/2″][vc_column_text]Amintro is close to my heart because I’ve been surrounded by fabulous, strong women in my family who have shown me that growing older can be an adventure. 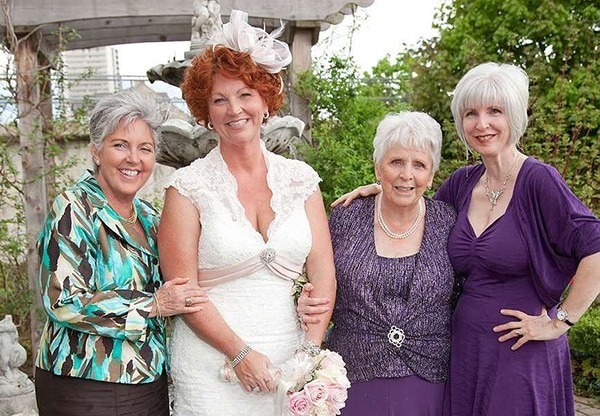 I know it involves re-invention as circumstances change but to be honest, my Mom and sisters have proved to me that your second act can be the most riveting part of your story.